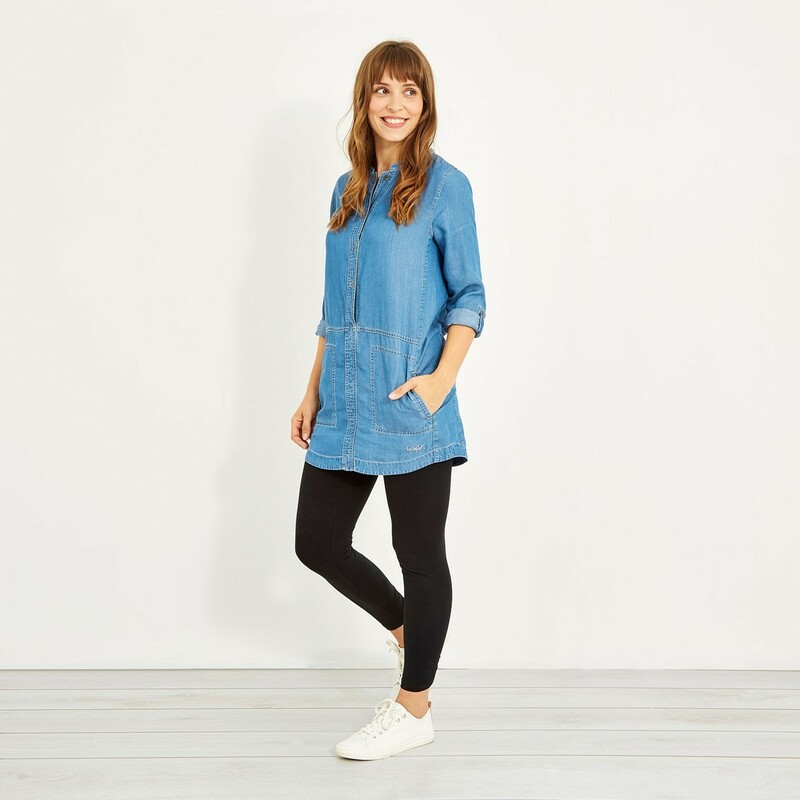 Choose the Bryne embroidered slub denim Tencel tunic this season and look effortlessly stylish in this soft to the touch, wonderfully comfortable but hard wearing tunic. The Bryne tunic is made from 100% Tencel, a fabric made from the natural cellulose found in wood pulp - making this particular fabric highly economical in its use of energy and natural resources. Whatever the occasion, reach for the Bryne embroidered slub denim Tencel tunic. 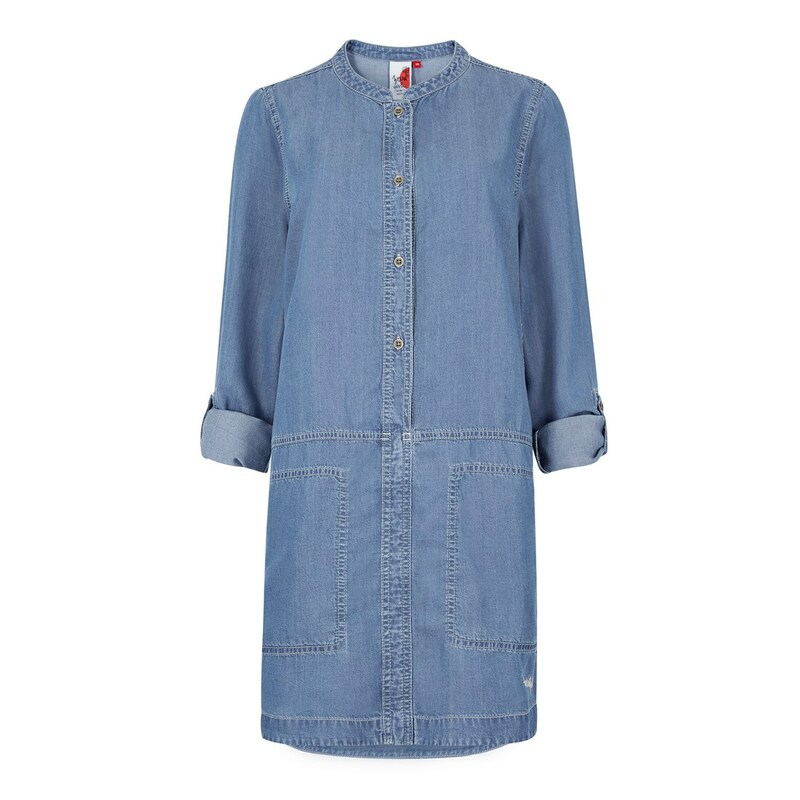 Button up, and pair with your favourite skinny jeans or leggings for the perfect weekend look. 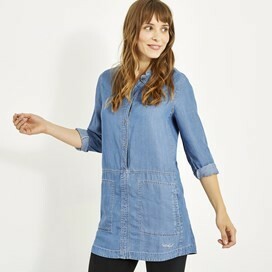 This Tencel tunic is stylish sustainability. You can read more about this clever fabric here. 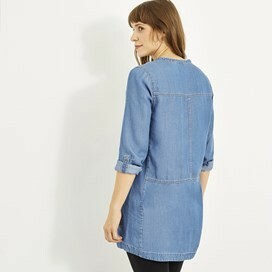 Lovely hippie denim, comfy and kool. I had to buy a size larger but love the comfort and fit of this top. It is already a firm favourite. So easy to wear and covers a multitude of sins what's not to like. Washes and dries very nicely so it looks and feels just like it did when new and its easy to iron. 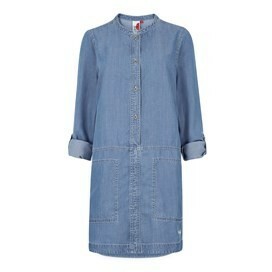 Lovely tunic. Soft and comfortable.